One month after its official designation and in view of the constitution of the Organizing Committee (OCOG) by the beginning of 2018, Paris 2024 actively prepares for the upcoming deadlines. Before dissolving the Bid Committee at a General Assembly to be held in mid-December, several important meetings were indeed included in the agenda of Paris 2024 for the months of November and December. On November 10, the leaders of the French project will receive the new President of the International Paralympic Committee (IPC), Andrew Parsons. This visit will take place before two sequences that will have the respective theme, the Social and Solidarity Economy – a key point of the Paris 2024 concept – and the place of athletes in the future OCOG. An Athletes Committee, similar to the one existing in the framework of the Bid, could notably be created to sustain the commitment of athletes and build on their experience in preparing the 2024 Olympics. Things will then accelerate with the holding of a first orientation seminar between Paris 2024 and the International Olympic Committee (IOC). This meeting, which will take place in the French capital on November 30 and December 1, will truly mark the launch of cooperation between the two entities. Already, this week-end in Paris, the President of the IOC has laid the foundations for this orientation seminar. 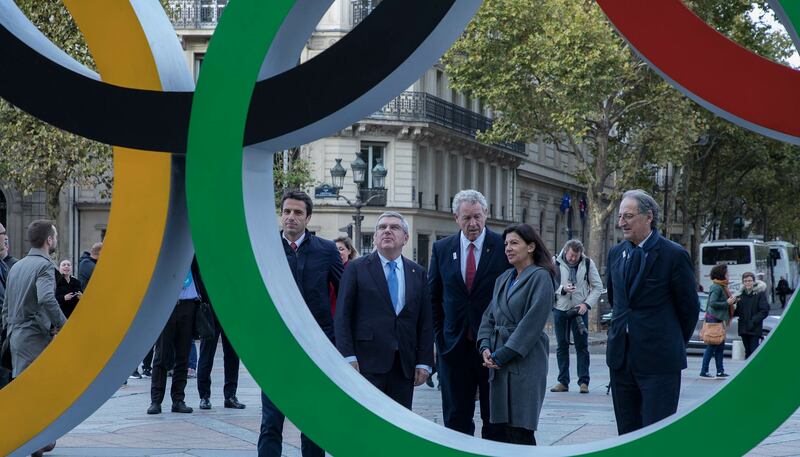 Thomas Bach, who has participated in the opening of the « Together4Climate » summit, was able to discuss with the Mayor of Paris, Anne Hidalgo and the President of the future OCOG and French IOC member, Tony Estanguet. In the meantime of this meeting, the French Parliament will examine the terms of the Olympic and Paralympic Law during the months of November and December. Finally, a non-negligible sequence will be organized during December by Paris 2024 and will concern the strategic budgetary issue. If the main data are already known, however, details may be provided in accordance with the Host City Contract. In the medium term, and after the establishment of the Organizing Committee, Paris 2024 will ensure a presence at the PyeongChang 2018 Winter Olympic and Paralympic Games.